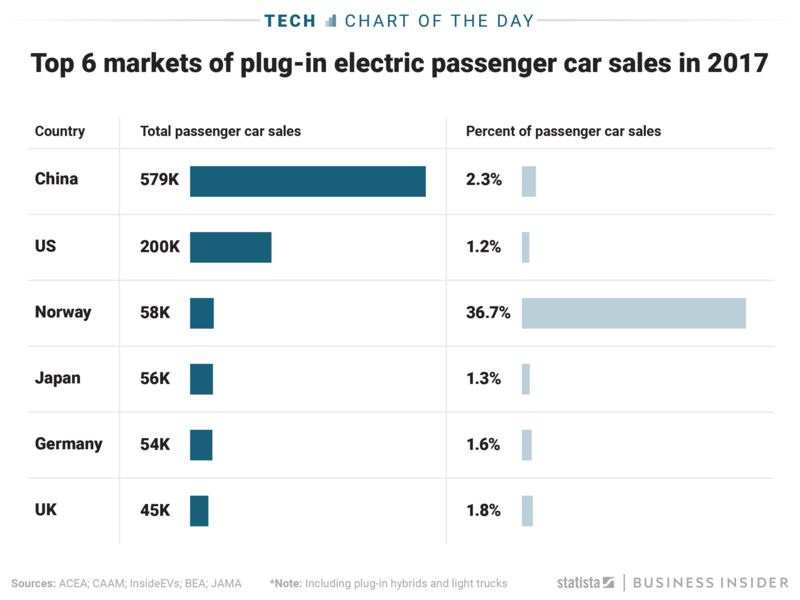 The electric-vehicle market is growing – and the countries leading the adoption of fuel-free cars are China, the US, and Norway. 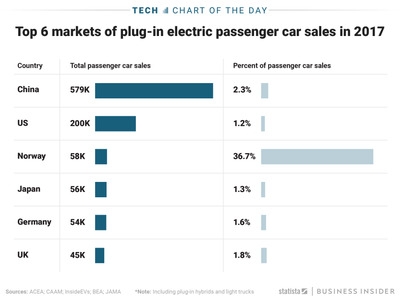 As this chart by Statista shows, electric vehicles have surged in popularity especially in Norway, where they make up for nearly one-third of all vehicles sold. Electric mobility is an attractive offering to many conscientious consumers hoping to curb their environmental footprints. While adoption might be slow at first, it seems that electric vehicles are on the rise.